I've heard people saying time and time again that they're too old to shop at Topshop. And, yes, I agree that at first glance, Topshop is my 17-year-old daughter's festival dreams right now, as it's filled with crop tops, denim hotpants and sequins. But as much as I personally avoid those items, I can always emerge from Topshop with a few purchases that fast become wardrobe staples I'm really pleased to wear on repeat. Some of my most-loved wardrobe items are Topshop that I've picked up over the years. And, yes, I have to admit that as I've reached my mid-thirties, my body has changed and my style has evolved, so it's not always as easy as it used to be. I've been shopping at Topshop Oxford Circus since my early teens, and I can't think of another store that I've been shopping in since I was 12 and still get as excited about visiting. So to convince anyone who may be assuming they have to throw in the Topshop towel, I've put together the five golden rules that I stick to when perusing our high-street favourite. purchase. The smash-and-grab process may have worked for us in our twenties, but it rarely does when you reach your thirties. I try to set aside an hour when visiting the Topshop flagship store in Oxford Circus (it is part of my job to research!). 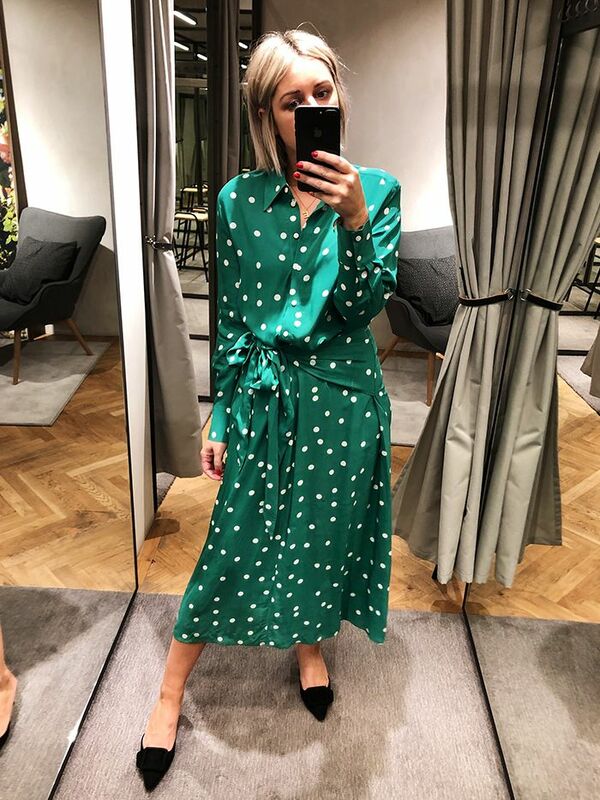 It's important to try pieces on in different sizes (two sizes if, like me, you're in between the sizing in Topshop) and try to make use of the personal shopping service if available. You have the luxury of time, space, and somewhere to leave your belongings. And of course, the team is on hand should you need any advice. I go around the store two times in total: My usual routine is to whizz around the shop floor quickly, grabbing anything that catches my eye. I then head to Personal Shopping, leave my selection in a room and head back out for a slower, more extended look around. I'll find a few more things, then go back and edit my rail, as I've then had a chance to take it all in. I have a good try on and usually only like a third of my edit, which I'm happy about, as if I loved everything, it would be a problem. to your look. This is when it's a plus point shopping in a store catering to a generally younger demographic. With so many new-in pieces dropping daily, Topshop is always exciting. I try to get into the store every couple of weeks and check online daily (it's my job!) so I don't miss out on any must-have pieces that are sure to be a hit. That's why online sites like Who What Wear UK and blogs like A Style Album are here—we check for you. Sandals, slip skirts and cute blouses are trending on Topshop.com right now. I popped in last week and picked up a sweet blouse plus the Strippy sandals in both colourways (red and black). Topshop is a great place to pick up your classic and basic pieces. I'm a huge fan of its khaki cargo jackets, which the brand tends to update every season. Its jeans are some of the best on the high street FYI: I stay away from the Leigh, as I find the material way too thin, but I love the newly launched Editor jeans and have them in every wash.
Topshop Nibble Tees are the perfect shape and are a great value for £10. And some of my favourite blazers of all time have been from Topshop. 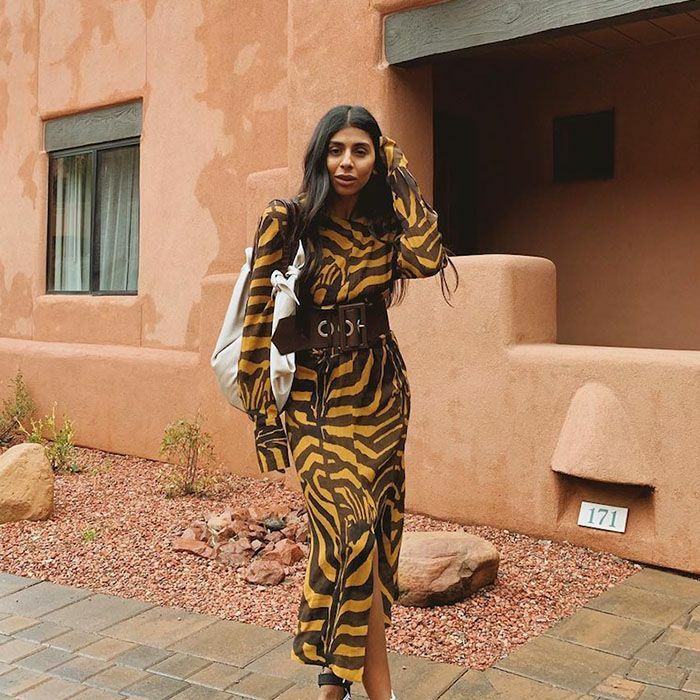 One of my favourite dresses is from Topshop Boutique—the brand's more premium line that is more expensive than the standard collection—but I've had it for years and still feel special in it. I do believe the quality and design reflect the price, so don't feel like you're being cheated on the high street in this instance. See more of Em's Topshop picks (and so much more) via her Instagram account @emmarosestyle.